Recent weeks have seen the publication of a number of really interesting resources* that focus the editorial freelancer's attention on pricing structures. I thought I'd jot down my views on the issue, particularly since it's one of those that new entrants to the field are often most curious about. An effective pricing strategy is central to any serious marketing plan, since marketing our services is about making ourselves interesting to potential clients. How we present our prices to our clients is therefore important. I'm actually less interested in what my colleagues charge than how they present that fee. Talk of pricing in our community has a tendency to generate controversy, as discussed in my colleague Adrienne Montgomerie's recent post on Copyediting.com. * That's because one of the most well-used concepts in the world of sales – that of the discount – can end up being overused, not because members of the editorial community are deliberately trying to undercut each other, but because many of us live in a culture where deals are the norm. Whether we're in the supermarket or the book store, we'll be confronted with BOGOFs, three-for-two offers, or 25% discounts. Sales take place all year round these days and there's always a bargain to be had somewhere. What does this mean for editorial freelancers? Is giving money off the only way to get attention? In a comment that I wrote in response to Adrienne's excellent article, I put forward the idea of value-on thinking, as opposed to a money-off approach when considering the pricing of editorial services. If the focus is always on money-off, then editorial freelancing becomes like the high street. Our clients come to expect "cheap", and that could lead to a race to the bottom in the long term. None of us wins in that scenario. We're business owners and I think we need to be paid as such if our businesses are to be sustainable. Money-off sales messages can focus the client's attention in the wrong place from the word go. I want my clients to be thinking about the positive impact I can have on their writing before they consider the negative effect this will have on their bank balance. I expect a client to want to know the price, and I understand that they have a budget. I respect the fact that my fees won't always match their budget but I want us both to start from the position of what the job requires rather than the cheapest deal they can get. Concentrating only on how much the client can save leads to a disconnect between what the editor or proofreader is bringing to the table for the client and the worth of that service. "Good value" isn't necessarily the same as "lowest price". There are ways of presenting a quotation to a client that have a value-on rather than money-off focus. And they're not hard to find, even for the newbie. One simple way of working out how to structure your own quotations in a value-on way can be achieved by putting yourself in your customer's shoes. It was obvious to me that I wasn't going to get that package by looking for the cheapest pc on the market. If I wanted cheap, I'd have to sacrifice my top three preferences. I did have a budget in mind before I started my research, but it was never going to be about just the price. This was going to be my new business computer – I needed it to do what it said on the tin, first and foremost. It's not that I had a bottomless purse, but price was one factor among several and had to be balanced against functionality. I tell the client what my hourly rate is and explain that it's in line with the SfEP and NUJ recommendations – the message I'm conveying is: this is a fair and professional rate. I tell them the upper- and lower-limit speeds that I tend to proofread at, and then supply a ranged fee that accords with this – the message I'm conveying is: I'm letting you know both the best and worst-case scenarios so there'll be no surprises. I also tell them that while I'll complete the job in the fewest hours possible, I never place speed above quality – the message I'm conveying is: you'll get a top-notch job. I tell them that I'm an Advanced Member of the SfEP and that I'm bound my the Society's professional code of conduct – the message is: you're in safe hands. I provide them with a few examples of related projects that I've proofread and a link to my website portfolio – the message is: I've done this before. You can be confident in my service. 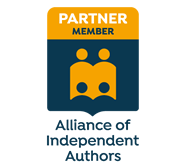 I offer them a link to some of the added value on my website: my free ebooklet entitled "Guidelines for New Authors" enables them to read about the different levels of intervention – the message is: I'm engaged with what you're doing and want to ensure that we're both clear about what you need. In this way, the price I offer them is framed within the value of what I'm bringing to the table. They can see what they're getting and why I think I'm worth it. Rather than getting their attention by talking about what they save, I focus on what they gain. If you're a new entrant to the field, it can seem like the most obvious thing in the world to say, "Okay, I'm new at this so I'd better not charge too much. And even if I'm good at this, I don't have a huge portfolio of clients to brag about so I better go in low – that way I'll get the client's attention." You may be right. You may well attract those clients that are only interested in the cheapest deal. But it's worth considering that not all clients are looking for cheap. In fact, that's not top of the list for many customers. Most of the people who ask me to proofread for them want a top-notch job and don't baulk at the fee I suggest. Many self-publishers and business owners may not have used a proofreader or editor before. They're therefore more interested in trust, engagement, ability and quality. If you can think about the interesting things that you bring to the table and that are of value to the client (for example, previous relevant career experience; industry-recognized training; testimonials; professional code of conduct; a commitment to quality; a readiness to take the time to understand exactly what they need), then you can use these USPs as part of your quotation. By placing your price within a framework of value, you shift the emphasis towards the professional, high-quality service that you offer and away from the financial hit they'll take. What do you think? Do you use the discount as a primary sales tool when quoting for a new client or do you have alternative ways of framing your quotations? A really good and thought-provoking article - thank you. I tend not to offer discounts, and I do as you do: state that the price is based on an industry standard, explain my credentials, point the prospect at my references page and list the types of things I will work on in their document. I tend to charge per word (or per audio minute for transcription services) so I can give them a ball-park figure, and I confirm that when they send me the document. I do, with student work, mention my urgent rate (standard rate plus 50%) and explain clearly what "urgent" means. This tends to focus the mind on the "lower" standard rate, giving me more time to complete the job - win-win! Thank you! Very helpful! What does the acronym USP stand for, please? In other words, what makes your product or service different. This is a really interesting area, particularly for a relative newcomer like me. I was approached recently, via findaproofreader.com, to give a quote for proofreading some educational material for a charity. I quoted £150, slightly below my standard rate of £10 per 1,000 words, but I priced it on the basis that the document was quite well written to begin with, it was for a charity, and it was a change from ESL student essays so would add a bit of variety to my CV. My quote was met with a positive response, but about half an hour later my contact came back to me to say that she had had another quote for £30. She seemed to understand that there was a price to be paid somewhere along the line for such a low fee and asked me to give her some justification for my fee. She had to get it approved by her line manager who would want to know why she was ignoring a very cheap quote in favour of a more expensive one. I told her that I was an associate of the SfEP and adhered to their code of conduct, pointed her to the testimonials on my website and on findaproofreader, emphasised my training qualifications, and assured her that I always delivered on time (it was a relatively urgent job). I thought quite hard about whether I should offer her a reduced price, but in the end I decided that I didn't want to get involved in a bidding war with someone whose price I neither would nor could ever match so I stood by my original quote. I'm pleased to say that in the end she decided to go with quality rather than price, but I'm really amazed that someone would offer to do a job that I estimated would take ten hours for £30. What do other people think? Really interesting to hear your recent experience, Beth. I think this is a great example of someone inexperienced not having the courage of their convictions, and not understanding that there are different ways to get a client's attention other than going in dirt cheap. That's why we all have to work so hard to get the message out there that this kind of absurd pricing can actually damage a freelancer's chances of securing a customer. The customer starts to wonder why the price is so cheap and becomes wary, so underpricing, like the type you were up against, has a negative impact. May I use this as a case study for my forthcoming marketing book? I love the way you stuck to your guns -- and it's a great example of good business practice that won the day! Please feel free, Louise. I've got a couple of other stories too. Email me if you want details. I think your marketing book will be invaluable - it's the thing I find most difficult! And thanks so much. I'll be in touch! Another interesting and useful article, Louise. I recently worked on a manuscript for a self-publishing author and completely underestimated the amount of work involved - the perils of being a newbie I suppose. Although it was lack of experience rather than a desire to charge rock bottom prices, the end result was the same. My hourly rate was ridiculously low. Having said that, the author was delighted with my work and wants me to work on the sequel in the new year. In preparation, I've gone through and itemised everything I did and how long it took me. From that information I hope to not only provide a more realistic quote from my point of view but also to show the author exactly what was involved in order to bring his manuscript up to a standard that he was happy with. Hi Deborah. That's such a great example of one of my favourite mantras: There are no rights or wrongs, only lessons learned. You learned something incredibly valuable, and that business knowledge gained is something you're taking forward with you. I, too, had a similar experience a couple of years back (I was working with a client-type with which I was unfamiliar), and what I thought of at the time as a "pricing disaster" turned out to be one of the most valuable business development lessons I've learned. So, actually, we're better off because of these experiences. "Every cloud ...", as they say!